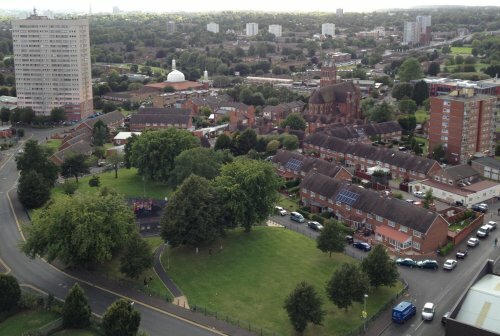 Highgate is a vibrant community in Nechells Ward, district of Ladywood, Birmingham. According to the 2011 Census in Highgate live 4,700 people, of whom 32% declare a Christian affiliation and 38% a Muslim affiliation. It is a typical inner-city parish, characterised by a multi-ethnic population, light industry, offices and a small shopping centre. Most of the original residents left the neighbourhood when the back-to-back Victorian dwellings were demolished in the 1960s making way for the introduction of the notorious “tower blocks” (eight of them still standing and occupied today). New waves of immigrants from all over the world have moved in since. Today 70% of the parish population is not from a British background.